Abstract-Lidar systems are one of the most important sensor infrastructures in autonomous vehicles and mobile robots. They are used for achieving indoor and outdoor mapping purposes. In the scope of this study, a new perspective to develop a lidar system is proposed. The system developed is constructed based on a low-cost infrared rangefinder sensor, low-cost slipring mechanism designed and manufactured, dc motor and microprocessor. The rangefinder sensor is mounted to a head-structure actuated by a dc motor that continuously rotates with a desired rotational velocity. The data coming from the rangefinder sensor flows through the microprocessor via the slipring. The design concept of the slipring mechanism gives an advantage that the data of the infrared rangefinder sensor can be taken while the sensor continuously rotates. The required power for the sensor can also be supplied by the slipring during motion. The decoding process of the data coming from the rangefinder sensor and motor control task are accomplished using an ATmega based microprocessor. A user interface is also created to communicate with the system and evaluate the performance of the whole structure developed. After conducting many experiments, successful results are obtained. The design steps of the system proposed and the experimental results are presented in this paper. 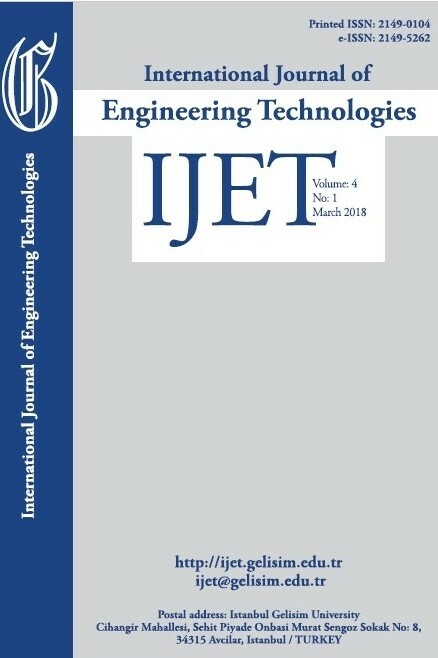 J. R. Ben-Arie, G. J.Hay, R. P. Powers, G. Castilla, B. St-Onge, Development of a pit filling algorithm for LiDAR canopy height models, Computers & Geosciences, Vol. 35, pp. 1940–1949, 2009. M. Hollaus, W. Wagner, C. Eberhöfer, W. Karel, Accuracy of large-scale canopy heights derived from LiDAR data under operational constraints in a complex alpine environment, ISPRS Journal of Photogrammetry & Remote Sensing, Vol. 60, pp. 323–338, 2006. C. Alexander, S. Smith-Voysey, C. Jarvis, Kevin Tansey, Integrating building footprints and LiDAR elevation data to classify roof structures and visualise buildings, Computers, Environment and Urban Systems, Vol. 33, pp. 285–292, 2009. Y. Saito, R. Saito, T. D. Kawahara, A. Nomura, S. Takeda, Development and performance characteristics of laser-induced fuorescence imaging lidar for forestry applications, Forest Ecology and Management, Vol. 128, pp. 129-137, 2000. J. C. Suarez, C. Ontiveros, S. Smith, S. Snape, Use of airborne LiDAR andaerial photography in the estimation of individual tree heights in forestry, Computers & Geosciences, Vol. 31, pp. 253–262, 2005. G. Cecchi, L. Pantani, V. Raimondi, L. Tomaselli, G. Lamenti, P. Tiano, R. Chiari, Fluorescence lidar technique for the remote sensing of stone monuments, Journal of Cultural Heritage, Vol. 1, pp. 29–36, 2000. J. Bregeon, M. Compin, S. Rivoire, M. Sanguillon, G. Vasileiadis, An elastic lidar system for the H.E.S.S. Experiment, Nuclear Instruments and Methods in Physics Research A, Vol. 819, pp. 60–66, 2016. M. Bietresato, G. Carabin, R. Vidoni, A. Gasparetto, F. Mazzetto, Evaluation of a LiDAR-based 3D-stereoscopic vision system for crop-monitoring applications, Computers and Electronics in Agriculture, Vol. 124, pp. 1–13, 2016. W. Y. Yan, S. Morsy, A. Shaker, M. Tulloch, Automatic extraction of highway light poles and towers from mobile LiDAR data, Optics &LaserTechnology, Vol. 77, pp. 62–168, 2016. L. D. Vilariño, H. G. Jorge, M. Bueno, P. Arias, I. Puente, Automatic classification of urban pavements using mobile LiDAR data and roughness descriptors, Construction and Building Materials, Vol. 102, pp. 208–215, 2016. L. Cheng, Y. Wang, Y. Chen, M. Li, Using LiDAR for digital documentation of ancient city walls, Journal of Cultural Heritage, Vol. 17, pp. 188–193, 2016. Y. Li, B. Yong, H. Wu, R. An, H. Xu, Road detection from airborne LiDAR point clouds adaptivefor variability of intensity data, Optik, Vol. 126, 4292–4298, 2015. N. Crasto, C. Hopkinson, D. L. Forbes, L. Lesack, P. Marsh, I. Spooner, J. J. V. D. Sanden, A LiDAR-based decision-tree classification of open water surfaces in an Arctic delta, Remote Sensing of Environment, Vol. 164, pp. 90–102, 2015.
http://www.rieglusa.com/lidar-scanners-and-sensors-systems.html, Last accessed, June 05, 2016.
http://www.phoenix-aerial.com/products/lidar-systems, Last accessed, June 05, 2016.
http://velodynelidar.com, Last accessed, June 05, 2016.
http://www.teledyneoptech.com/index.php/products/airborne-survey/lidar-systems, Last accessed, June 05, 2016.
https://www.omron.com/ecb/products/photo/#photomicro, Last accessed, June 05, 2016.